*Clean CARFAX, Under $5000, Sunroof, Power Driver Seat, Must See! 3.5L V6 SFI VVT. Clean CARFAX. Odometer is 722 miles below market average! 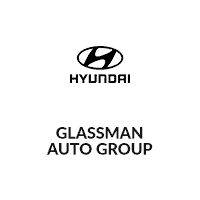 Here at Glassman Automotive we believe in delivering superior service and respect for our customers time. With Glassman Assurance you can expect us to go above and beyond your expectations. We don't want to sell you a car we want to ''Help you buy one''. *POSTED PRICING IS EXCLUSIVE FOR INTERNET CUSTOMERS. *POSTED PRICING IS VALID ONLY UPON PRESENTATION OF THIS AD PRIOR TO DELIVERY. *Manual, Under $6000! Good Gas Milage, Must See! CARFAX One-Owner. Here at Glassman Automotive we believe in delivering superior service and respect for our customers time. With Glassman Assurance you can expect us to go above and beyond your expectations. We don't want to sell you a car we want to ''Help you buy one''. *POSTED PRICING IS EXCLUSIVE FOR INTERNET CUSTOMERS. *POSTED PRICING IS VALID ONLY UPON PRESENTATION OF THIS AD PRIOR TO DELIVERY. *3.3L V6 SMPI DOHC. CARFAX One-Owner. Odometer is 20430 miles below market average! Sunroof, Must See! Here at Glassman Automotive we believe in delivering superior service and respect for our customers time. With Glassman Assurance you can expect us to go above and beyond your expectations. We don't want to sell you a car we want to ''Help you buy one''. *POSTED PRICING IS EXCLUSIVE FOR INTERNET CUSTOMERS. *POSTED PRICING IS VALID ONLY UPON PRESENTATION OF THIS AD PRIOR TO DELIVERY. 5.4L V8 EFI 24V, 4WD. Odometer is 8952 miles below market average! Here at Glassman Automotive we believe in delivering superior service and respect for our customers time. With Glassman Assurance you can expect us to go above and beyond your expectations. We don't want to sell you a car we want to ''Help you buy one''. *POSTED PRICING IS EXCLUSIVE FOR INTERNET CUSTOMERS. *POSTED PRICING IS VALID ONLY UPON PRESENTATION OF THIS AD PRIOR TO DELIVERY. *Heated Front Seats, Leather Seats, Sunroof, Mirror Back Up Camera, Power Driver Seat, Must See! Here at Glassman Automotive we believe in delivering superior service and respect for our customers time. With Glassman Assurance you can expect us to go above and beyond your expectations. We don't want to sell you a car we want to ''Help you buy one''. *POSTED PRICING IS EXCLUSIVE FOR INTERNET CUSTOMERS. *POSTED PRICING IS VALID ONLY UPON PRESENTATION OF THIS AD PRIOR TO DELIVERY. *Heated Seats, AWD, Runs and Drives Well, Under $9000, Must See! Here at Glassman Automotive we believe in delivering superior service and respect for our customers time. With Glassman Assurance you can expect us to go above and beyond your expectations. We don't want to sell you a car we want to ''Help you buy one''. *POSTED PRICING IS EXCLUSIVE FOR INTERNET CUSTOMERS. *POSTED PRICING IS VALID ONLY UPON PRESENTATION OF THIS AD PRIOR TO DELIVERY. *Low Miles! Good Gas Mileage, Full Safety Inspection Completed, Runs and Drives Well, Clean Inside and Out, Must See! CARFAX One-Owner. Clean CARFAX. Odometer is 39185 miles below market average! Here at Glassman Automotive we believe in delivering superior service and respect for our customers time. With Glassman Assurance you can expect us to go above and beyond your expectations. We don't want to sell you a car we want to ''Help you buy one''. *POSTED PRICING IS EXCLUSIVE FOR INTERNET CUSTOMERS. *POSTED PRICING IS VALID ONLY UPON PRESENTATION OF THIS AD PRIOR TO DELIVERY. *Heated Seats, Back Up Camera, Clean CARFAX, Full Safety Inspection Completed, Runs and Drives Well, Clean Inside and Out, Must See! Here at Glassman Automotive we believe in delivering superior service and respect for our customers time. With Glassman Assurance you can expect us to go above and beyond your expectations. We don't want to sell you a car we want to ''Help you buy one''. *POSTED PRICING IS EXCLUSIVE FOR INTERNET CUSTOMERS. *POSTED PRICING IS VALID ONLY UPON PRESENTATION OF THIS AD PRIOR TO DELIVERY. Clean CARFAX. Here at Glassman Automotive we believe in delivering superior service and respect for our customers time. With Glassman Assurance you can expect us to go above and beyond your expectations. We don't want to sell you a car we want to ''Help you buy one''. *POSTED PRICING IS EXCLUSIVE FOR INTERNET CUSTOMERS. *POSTED PRICING IS VALID ONLY UPON PRESENTATION OF THIS AD PRIOR TO DELIVERY. *Clean CARFAX, 4WD, Leather/Heated/Cooled Front Seats, Power Driver Seat, Navigation System, Sunroof, Sony Sound System, Must See! 4WD, ABS brakes, Compass, Electronic Stability Control, Front dual zone A/C, Heated door mirrors, Heated front seats, Illuminated entry, Low tire pressure warning, Remote keyless entry, Traction control. Clean CARFAX. Here at Glassman Automotive we believe in delivering superior service and respect for our customers time. With Glassman Assurance you can expect us to go above and beyond your expectations. We don't want to sell you a car we want to ''Help you buy one''. *POSTED PRICING IS EXCLUSIVE FOR INTERNET CUSTOMERS. *POSTED PRICING IS VALID ONLY UPON PRESENTATION OF THIS AD PRIOR TO DELIVERY. ABS brakes, Alloy wheels, Anti-Lock Braking System (ABS), Electronic Stability Control, Emergency communication system, Heated door mirrors, Illuminated entry, Low tire pressure warning, Remote keyless entry, Remote Keyless Entry w/Alarm, Tire Pressure Monitoring System, Traction control. Here at Glassman Automotive we believe in delivering superior service and respect for our customers time. With Glassman Assurance you can expect us to go above and beyond your expectations. We don't want to sell you a car we want to ''Help you buy one''. *POSTED PRICING IS EXCLUSIVE FOR INTERNET CUSTOMERS. *POSTED PRICING IS VALID ONLY UPON PRESENTATION OF THIS AD PRIOR TO DELIVERY. *AWD, Low Miles, Leather/Heated Front Seats, Sunroof, Full Safety Inspection Completed, Runs and Drives Well, Clean Inside and Out, Must See! Odometer is 68202 miles below market average! Here at Glassman Automotive we believe in delivering superior service and respect for our customers time. With Glassman Assurance you can expect us to go above and beyond your expectations. We don't want to sell you a car we want to ''Help you buy one''. *POSTED PRICING IS EXCLUSIVE FOR INTERNET CUSTOMERS. *POSTED PRICING IS VALID ONLY UPON PRESENTATION OF THIS AD PRIOR TO DELIVERY. Clean CARFAX, Low Miles, Full Safety Inspection Completed, Runs and Drives Well, Clean Inside and Out, Must See! Black w/Cloth Seat Trim. Clean CARFAX. Odometer is 5064 miles below market average! Here at Glassman Automotive we believe in delivering superior service and respect for our customers time. With Glassman Assurance you can expect us to go above and beyond your expectations. We don't want to sell you a car we want to ''Help you buy one''. *POSTED PRICING IS EXCLUSIVE FOR INTERNET CUSTOMERS. *POSTED PRICING IS VALID ONLY UPON PRESENTATION OF THIS AD PRIOR TO DELIVERY. *Low Miles, Great Gas Milage, Full Safety Inspection Completed, Runs and Drive Well, Clean Inside and Out, Must See! 1.5L 4-Cylinder Atkinson-Cycle VVT-i, ABS brakes, Electronic Stability Control, Illuminated entry, Low tire pressure warning, Remote keyless entry, Traction control. CARFAX One-Owner. Odometer is 16799 miles below market average! Here at Glassman Automotive we believe in delivering superior service and respect for our customers time. With Glassman Assurance you can expect us to go above and beyond your expectations. We don't want to sell you a car we want to ''Help you buy one''. *POSTED PRICING IS EXCLUSIVE FOR INTERNET CUSTOMERS. *POSTED PRICING IS VALID ONLY UPON PRESENTATION OF THIS AD PRIOR TO DELIVERY. *Back Up Camera, Full safety Inspection Completed, Runs and Drives Well, Clean Inside and Out, Must See! CVT with Xtronic, ABS brakes, Electronic Stability Control, Illuminated entry, Low tire pressure warning, Remote keyless entry, Traction control. Here at Glassman Automotive we believe in delivering superior service and respect for our customers time. With Glassman Assurance you can expect us to go above and beyond your expectations. We don't want to sell you a car we want to ''Help you buy one''. *POSTED PRICING IS EXCLUSIVE FOR INTERNET CUSTOMERS. *POSTED PRICING IS VALID ONLY UPON PRESENTATION OF THIS AD PRIOR TO DELIVERY. Black w/Premium Cloth Bucket Seats. Clean CARFAX. Odometer is 15845 miles below market average! Here at Glassman Automotive we believe in delivering superior service and respect for our customers time. With Glassman Assurance you can expect us to go above and beyond your expectations. We don't want to sell you a car we want to ''Help you buy one''. *POSTED PRICING IS EXCLUSIVE FOR INTERNET CUSTOMERS. *POSTED PRICING IS VALID ONLY UPON PRESENTATION OF THIS AD PRIOR TO DELIVERY.